Categories: 19th Century History, Social History, Medical. This is a thoroughly original book. Based on source materials ranging from public inquiries and property valuations to the records created by women charity workers, the slum geography of the city is meticulously recreated. The overlapping areas of contagious disease, slum housing and the support of the very poorest, the beggars and costermongers who daily thronged the city streets, form the three main areas of analysis. These issues are explored on scales varying from city-wide to the local street or court, while the final case study examines the dynamic nature of slum creation and efforts at relief and reform in the particular context of the north city parishes of St Mary’s and St Michan’s. 1. Dublin Slum Matters: An Overview. 2. The Slums Exposed, Dublin 1800-1854. 3. A Matter of Life and Death: Public Health 1848-1900. 3. To Grasp the Housing Nettle, Early Initiatives, 1876-1900. 4. Health and Housing: Policy Shifts, 1900-1925. 5. Idle Vagrants and Sturdy Beggars: The State’s Response. 6. Church Charities Respond: Women and Children, 1850-1900. 7. A Classic Slum: Dublin North City, the Parishes of St Michan’s and St Mary’s. Jacinta Prunty is a senior lecturer in history at NUI Maynooth. 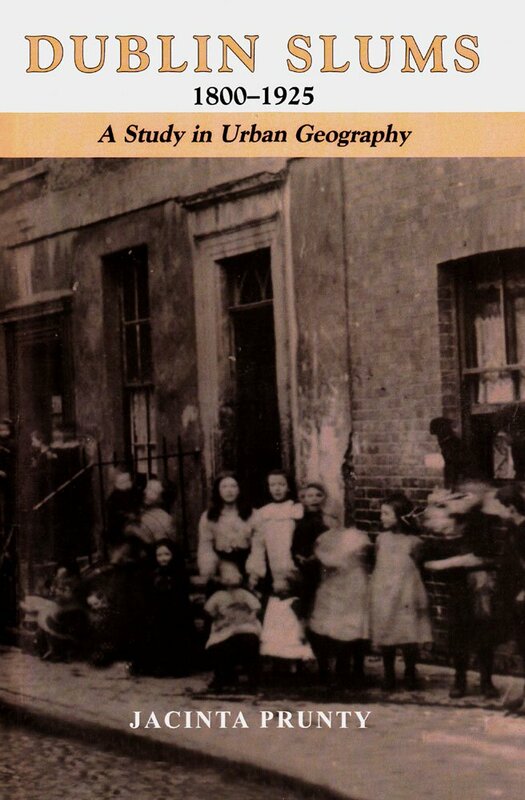 Previous publications include Maps and Mapmaking in Local History (2004) and Surveying Ireland’s Past (2004, joint editor), as well as contributions to several books and journals on Dublin’s social history and geography.